Nature is a remorseless sociopath armed with bears (the cause of 36 human fatalities in the United States since 2000), snakes (144 U.S. deaths since 2000), and Sharknados (countless dead). Still, many of us insist on venturing far from the safety and comfort of civilization to camp out in the great outdoors--for fun. If you are indeed foolish enough to try your lot out there, then please--please!--take a moment to read through this list of high-tech (and mostly affordable) outdoor gear designed to help you survive a direct confrontation with Mother Nature. What is it? A device that uses a global network of search-and-rescue satellites to notify rescuers and pinpoint your position. 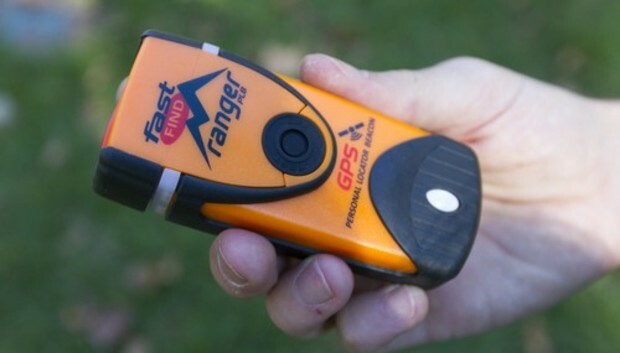 One example is McMurdo's FastFind Ranger Personal Locator Beacon ($277). The device sends out a 406MHz signal to the Search and Rescue Satellite Aided Tracking (SARSAT) network, which is monitored by the National Oceanic and Atmospheric Administration (NOAA). In addition, the device emits a 121.5MHz homing signal to help rescuers pinpoint your location as they get closer. How will it keep you alive? When you can't communicate directly, this device will send out a signal continuously for 24 hours to bring help. Good for when you find yourself stuck at sea or in a remote trackless wilderness. What is it? A mobile phone that communicates directly with low-orbit satellites to connect. Satellite phones don't rely on the terrestrial cell phone network, which can works only if your phone is in close proximity to a cell tower (or if Google has its way, to a strategically positioned high-altitude balloon). Most satellite phones will set you back a minimum of $1000, but you can rent an Iridium 9555 satellite phone for $50 a week (or $16 a day). For $50, you can purchase a basic "safety" service plan that covers a scant 20 minutes of talk time (additional minutes will cost you $1 per minute); SMS messages are 60 cents a pop. Not cheap, but would you blink at that cost in a life-or-death situation? How will it keep you alive? If you're far from the help of passers-by, the constabulary, and other sources of assistance, you're probably also far from the nearest cell tower. A satellite phone can put you in touch with help, no matter where you are. What is it? A means to identify your exact location when you're not in close proximity to cell towers or Wi-Fi. The $300 Garmin eTrex 30 can locate you by reading signals from GPS and GLONASS (the Russian version of GPS) systems, in addition to using an internal three-axis compass and barometric altimeter. The device can store preloaded maps on its 1.7GB of internal storage (it also accepts microSD cards), so you won't have to download data as you would with a mobile phone app like Google Maps. All you need is access to the sky. As a bonus, if you can locate a vehicle, the eTrex can provide turn-by-turn navigation, too. How will it keep you alive? It will help you find your way back to civilization even when you have no idea of where you are or what direction you should take. What is it? A small tank for burning wood and leaves. Attached to the side of the BioLite camp stove ($130) is a small oxygenation unit that pumps oxygen in to fan the flames. The unit also has a thermoelectric converter that can create power for a USB port on its side, for powering up mobile devices. Word is that it you'll need about 3 hours of constant flame to charge your phone fully. How will it keep you alive? If you have matches, the BioLite lets you quickly start a fire to warm your hands, dry your socks, and cook food. Those capabilities can be invaluable if you get lost, but the little stove weigh a couple of pounds--an additional load that you can really start to feel after about mile 15. What is it? A device for converting the sun's energy into electricity. The Wagan Tech Solar E Charger ($95) will keep your electronic devices operational no matter how far you are from civilization. The built-in lithium-ion battery can fully recharge in 5 to 8 hours using nothing but solar radiation. How will keep you alive? You can recharge your phone or other devices at night, after building up the Solar E Charger's charging during the day, extending your opportunities to contact rescuers. Alternatively, it gives you access to your favorite mobile games, to keep cabin fever at bay. What is it? A multifaceted satellite communication device that lets you talk, text, and share GPS coordinates from anywhere in the world. In addition, the inReach SE ($300 + subscription fee) can trigger an automatic SOS and keep you in touch with a 24/7 emergency rescue team. How will keep you alive? Whatever your situation, this device will connect you to the rest of the world. That's good news if you need help or just want to brag to your buddies when you reach the top of Mount Everest. What is it? A hand-held laser pointer that can signal to rescue parties over a great distance. The RLL013-01 Rescue Laser Light from Greatland Laser ($100), for example, can produce a signal visible from over 20 miles away at night and from 1 to 3 miles away in daylight. How will it keep you alive? If you're stranded in a remote location and spot a search party far off in the distance, aim the laser at your target and move it back and forth to signal them. What is it? A gadget that produces drinkable water from any source, no matter how contaminated. The Lifesaver purifier bottle ($160) uses activated carbon filters to remove waterborne pathogens and even reduce harmful chemical residues and heavy metals. The device can filter out impurities as small as 15 nanometers. With that level of precision, it's well equipped to remove Rhinovirus (aka the common cold), which measures in at a relatively plump 30 nanometers, from water. The Lifesaver doesn't depend on chemicals or electricity to function. Instead it works by simple push action, which makes it an ideal for taking far off the grid. The above TED video explains the technology in more depth. Alternately, though Camelbak's All Clear Bottle ($99) can't remove chemicals and harmful nonorganic materials, it uses ultraviolet waves to kill microbiological agents. What is it? A gadget that removes salt from seawater and makes it safe for human consumption. HTI's $50 SeaPack Crew consists of a trio of 17-ounce one-time-use pouches. Each pouch filters seawater to remove the vast majority of its salt, leaving the desalinated water to mix with a "fortified powder" to produce half a liter of a "clean, flavored survival drink that provides both hydration and energy." Yum. HTI claims that the pouches will remove 97 percent of the salt from seawater over the required 10-hour filtration period (in 68-degree seawater). How will it keep you alive? When you find yourself stranded in a rescue raft in the middle of the ocean, a three-pack of SeaPack Crew will make 1.5 liters of the otherwise undrinkable seawater around you safe for consumption. What is it? An off-the-gird lighting source that doesn't need batteries. Sears offers a wholesale solar lantern ($35) that collects energy during daylight hours so it can light your way at night--no batteries required. And if the lantern runs out of stored solar energy, you can use the included hand crank to produce light. How will keep me alive? If you get lost for any extended period, you'll spend considerable time sitting in the dark. The solar lantern will illuminate your nearby area long after your Duracells have worn out. What is it? An air raid siren that runs on elbow grease and can be heard up to a quarter mile away. Trust us--this thing is loud. Vestil offers a hand-held version for $100. This siren can emit a 110-decibel wail, which is about the strength of a car horn. This model requires no electricity and you can set it to work just by cranking it. How will it keep you alive? It lets you notify someone far away of the danger or disorientation you face. What is it? A solar-powered spike (a set of 13 of them costs just $7) that you drive into the ground to produce vibrations that scare snakes away. The manufacturer says that it wards off moles and gophers, too. Many campers have heard tales of snakes crawling inside an occupied sleeping bag to take advantage of the sleeper's warmth, though instances of this reptilian behavior are actually quite rare. Still, if you'd rather not wake up to something big and slithery moving around your legs, consider planting a few spikes around the campsite before you retire. Or use a tent. How will it keep you alive? Okay, let's say for the sake of the argument that you're lost in Venomous Snakes National Monument with no tent and a sleeping bag that smells like fresh prairie dogs. You don't want to get bit by a big rattler, or it could be Game Over--but it's cold at night, so you don't want to forgo the sleeping bag either. In that case, maybe, you'll be glad that you staked out your sleeping perimeter with 13 solar-powered snake repellers. Not to mention the security of knowing that you won't be assailed by amorous prairie dogs. What is it? A weapon that uses an array of sensors to help a first-time shooter hit a bull's-eye at 3100 yards. The price of TrackingPoint's Precision Guided Firearm (PGM) will--for better or worse--come down over time, but you can pick one up now for a mere $22,000. How will it keep you alive? If you need to eat, this weapon will help you hunt down some food--no matter the distance. If you're the one being hunted, it can keep your predators at bay. Or kill them dead. It's a fact of life: Nature is dangerous and uncaring. And that is precisely why humanity developed technology--to turn the odds in our favor. I know many of you out there will refuse to heed this warning and continue your foolhardy outdoorsy ways. But if you do, consider taking along some of the gear described above to help keep you safe.